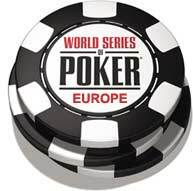 ESPN will be airing the 2008 World Series of Poker Europe Main Event starting on February 1st, which is also Super Bowl Sunday. The first four one-hour episodes of the broadcast will run consecutively on ESPN beginning at 6 p.m. ET on February 1st. Then the broadcast will switch to ESPN2, where the episodes will be rerun before moving on to new episodes. There will be a total of eight episodes with the last two episodes airing on March 1st. The 2008 WSOPE Main Event attracted a playing field of 362 players and ESPN was there to capture the pivotal moments of play. Here is the ESPN2 schedule for the WSOPE broadcast.